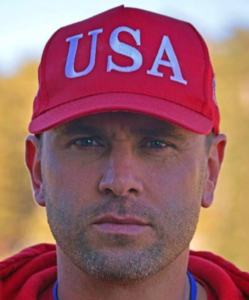 The organizer of an upcoming “alt-right” rally in Berkeley, who canceled the event Friday for fear of violence, previously sold sticks and shields with Kyle “Based Stickman” Chapman, a prominent “alt-right” member who is facing a felony charge for possession of an illegal weapon in the form of a stick. Amber Gwen Cummings posted on her Facebook page July 17 advertising shields and sticks that she was selling with Chapman. 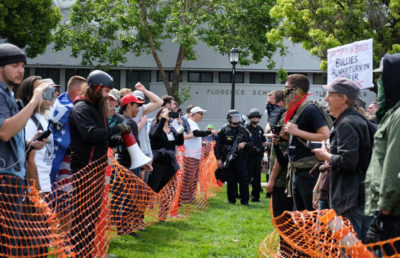 Chapman, who was arraigned Friday for his felony charge, was filmed hitting the heads of Antifa members and protesters at the “March 4 Trump” rally in Martin Luther King Jr. Civic Center Park. In her post, Cummings listed “signed sticks” for $50 and said Chapman was dropping the price of shields “for (a) limited time” to $250. It is unclear based on the posts whether the items were sold. Cummings used a different Facebook account to create the “alt-right” rally Facebook event; however, the person in both profile pictures is the same. 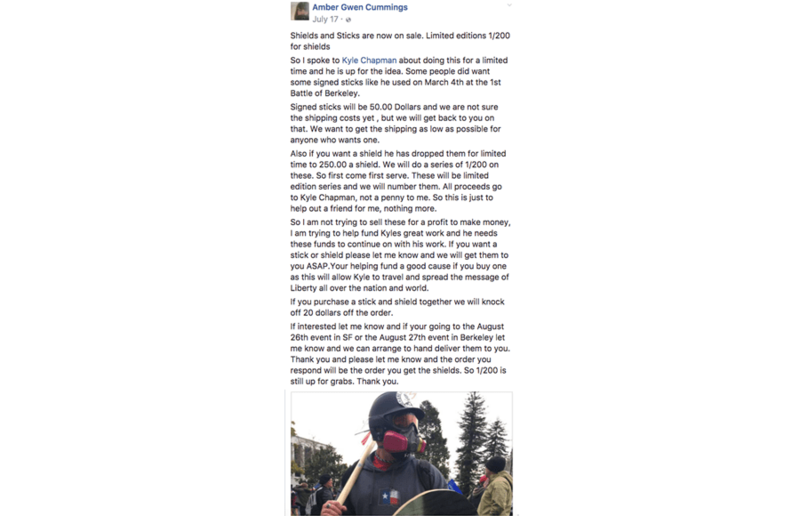 In her Facebook post selling protest sticks and shields from July 17, Cummings mentioned her planned Aug. 27 “alt-right” rally. “If interested let me know and if your going to the August 26th event in SF or the August 27th event in Berkeley let me know and we can arrange to hand deliver them to you,” Cummings said in her post.